KUALA LUMPUR (Sept 2): PublicInvest Research has valued Aemulus Holdings Bhd at 31 sen using a price-to-earnings (P/E) valuation and is premised on 15x PE FY15F EPS of 1.89 sen. In a note today, the research house said Aemulus, a semiconductor tester manufacturer with 11 years of experience, was slated for public listing on Sept 15, 2015. “The company mainly offers a range of Automated Test Equipment (ATE), which is used to test electronic devices or semiconductor for its functionality. 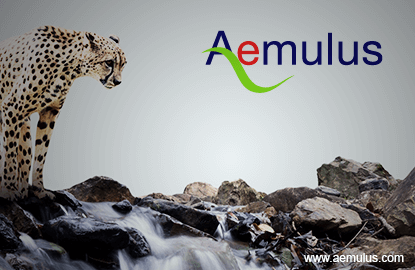 “We derive our fair value of RM0.31 for Aemulus using a price-to-earnings (P/E) valuation and is premised on 15x PE FY15F EPS of 1.89 sen,” it said.